Ms. Deniene (McPolin Elementary), You are an amazing educator. Your heart for students matches your ability to teach; and you are a master teacher. The way that you have high expectations for all students with all abilities is the exact reflection that all of our students deserve. Mr. Carpenter (Grand Valley Middle School): Thank you for being the amazing person and teacher that you are. Your willingness to go beyond the norm to help bring the performing arts, construction, and math to students and adults to our community is amazing. 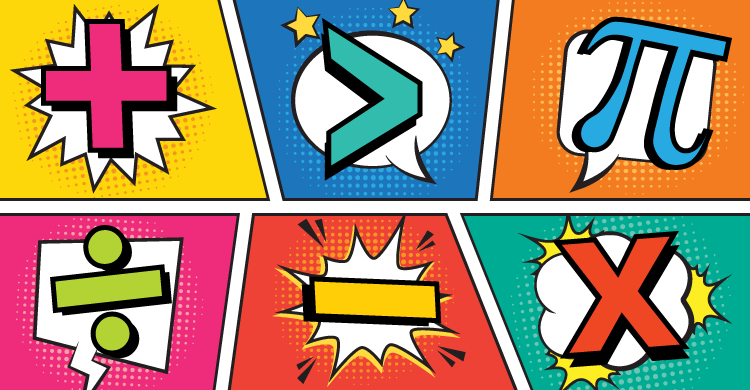 Your impact is seen everyday in the students of our district, but more precisely what you do is also demonstrated in adults, parents, and– most importantly- teachers with whom you have contact. You zeal for education and candor are great skills that are transferred to those around you; thus, more and more great educators are created and formed in your un-Earthly shadow. Thanks for teaching. Sincerely, Mark G.
Thank you, Ms. Simmons. (Northwood High School) You have inspired me in so many ways. Watching you grow as a teacher/educator over the past years has made me want to be involved and do whatever I can to help kids. I have enjoyed the very interesting conversations and brainstorming sessions about new ways to inspire and educate. Again, thank you for enlightening me! L. R.
Thank you for taking the time to help us honor the teacher heroes of the world. 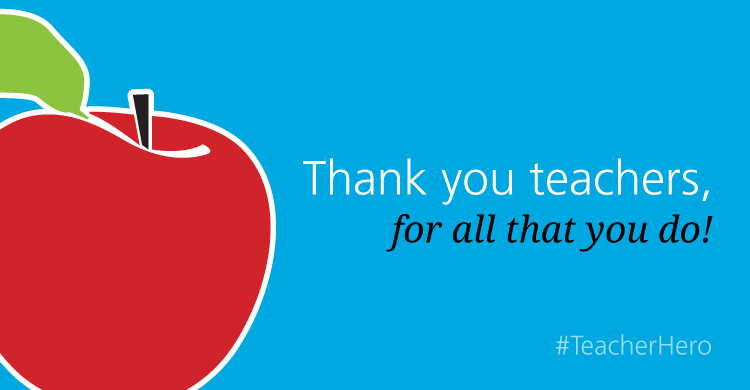 Be sure to follow #TeacherHero on Twitter for more Thank a Teacher fun!